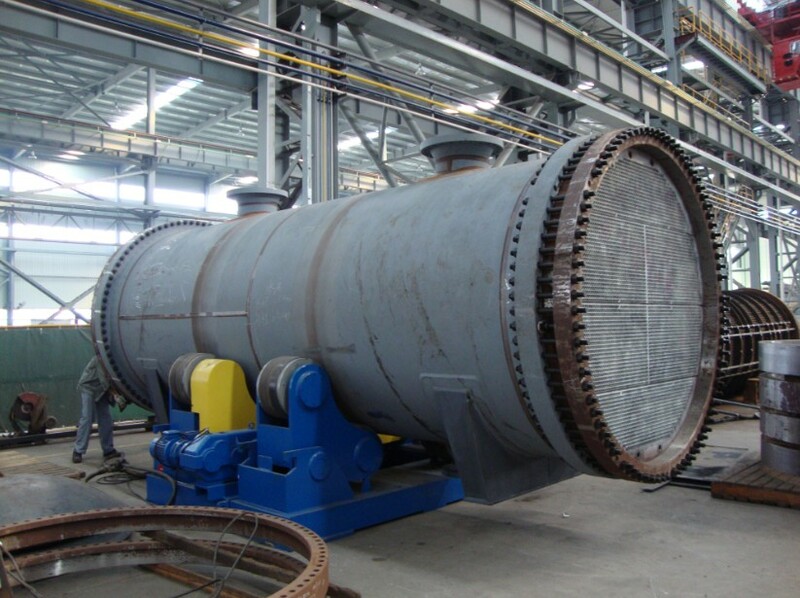 Fixed Tube Sheet Heat Exchanger Design, Solid structure and can use a variety of materials for production, especially in the high temperature, high pressure andlarge-scale installations hasgottheextensiveapplication. Plate heat exchanger, Another type of heat exchanger is the plate heat exchanger. One is composed of multiple, thin, slightly separated plates that have very large surface areas and fluid flow passages for heat transfer. This stacked-plate arrangement can be more effective, in a given space, than the Shell And Tube Heat Exchanger. Advances ingasket and brazing technology have made the plate-type heat exchanger increasingly practical. In HVACapplications, large heat exchangers of this type are called plate-and-frame; when used in open loops, these heat exchangers are normally of the gasket type to allow periodic disassembly, cleaning, and inspection. There are many types of permanently bonded plate heat exchangers, such as dip-brazed, vacuum-brazed, and welded plate varieties, and they are often specified for closed-loop applications such as refrigeration. Plate heat exchangers also differ in the types of plates that are used, and in the configurations of those plates. Some plates may be stamped with "chevron", dimpled, or other patterns, where others may have machined fins and/or grooves. The fixed tube plate heat exchanger is composed of tube box, shell, tube plate, tube and so on. Its structure is more compact, the tube is more, the area is bigger under the same diameter, and manufacture is simpler. The fixed tube plate heat exchanger is characterized in that the tube bundle is arranged in the shell, the tube ends are welded or expanded to fix the tube to the tube plate, the tube plates are welded directly to the shell, Of the inlet and outlet pipe welded directly to the shell, the tube plate outer circumference and head flange bolts fastening, the tube directly into the tube and head welded together, the tube bundle according to the length of the heat transfer tube set a number Block baffles. This heat exchanger tube can be divided into any number of partitions. 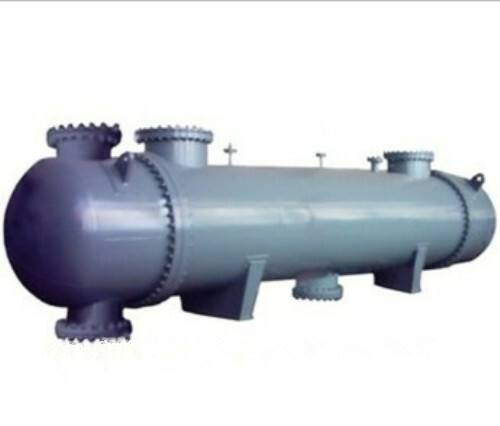 The fixed tube plate heat exchanger has the advantages of simple structure, low manufacturing cost, convenient cleaning of the tube, and the tube can be divided into multiple paths. The shell side can be divided into two-way, wide range of specifications and widely used in engineering. Shell-side cleaning difficult for dirty or corrosive media should not be used. When the difference between the expansion is large, can be installed in the shell expansion joints, in order to reduce the tube, shell temperature difference arising from the thermal stress. 4, heat transfer area than floating head heat exchanger 20% to 30%. 4, after the corrosion pipe together with the shell scrapped, equipment life is low. Looking for ideal Fixed Tube Sheet Heat Exchanger Manufacturer & supplier ? We have a wide selection at great prices to help you get creative. All the Fixed Heat Exchanger are quality guaranteed. We are China Origin Factory of Heat Exchanger Design. If you have any question, please feel free to contact us.